What is the Attorney General Hiding? 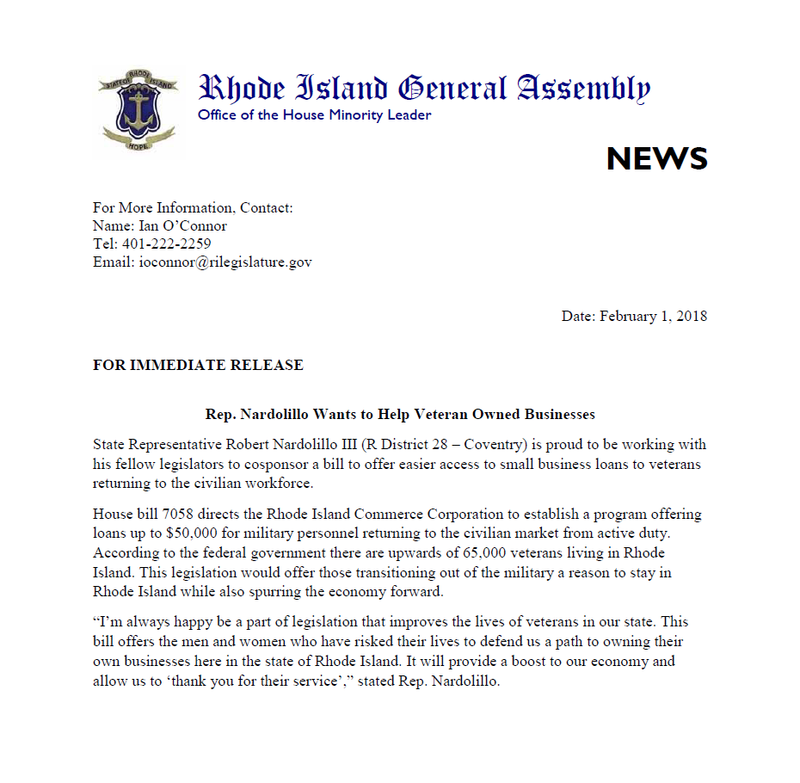 Minority Whip Filippi Cosponsors Legislation to allow Rhode Islanders over Sixty-five years old to Deduct Up to $7,500.00 in Maintenance Expenses on their Personal Residence. Rep. Nardolillo (R District 28 – Coventry) will introduce legislation to combat the dangerous national trend known as “swatting. 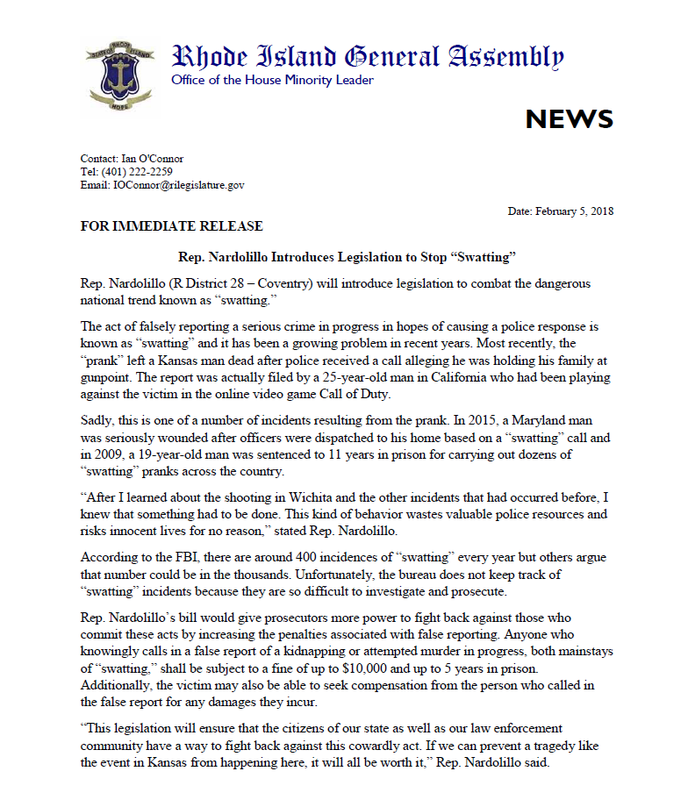 Rep. Robert Nardolillo III will introduce legislation to make driving under the influence of alcohol or drugs with a child under the age of thirteen in the vehicle a felony offense. Rep. Robert Nardolillo III continues his advocacy for animal welfare as he co-sponsors legislation introduced to protect animals from extreme weather. Representative Roberts Honors 104-year-old Coventry resident. Representative Lancia Reacts to WJAR-TV story on 911 Fees. Representative Sherry Roberts' Bill Will Level the Playing Field for Home Schooled Students. 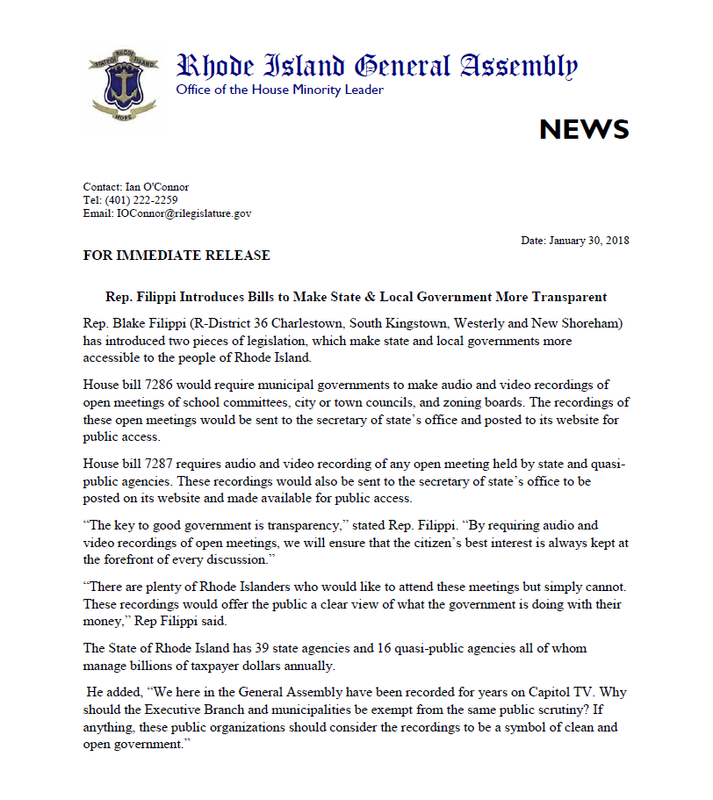 Is RhodeWorks so Flawed that Info Must be Hidden?